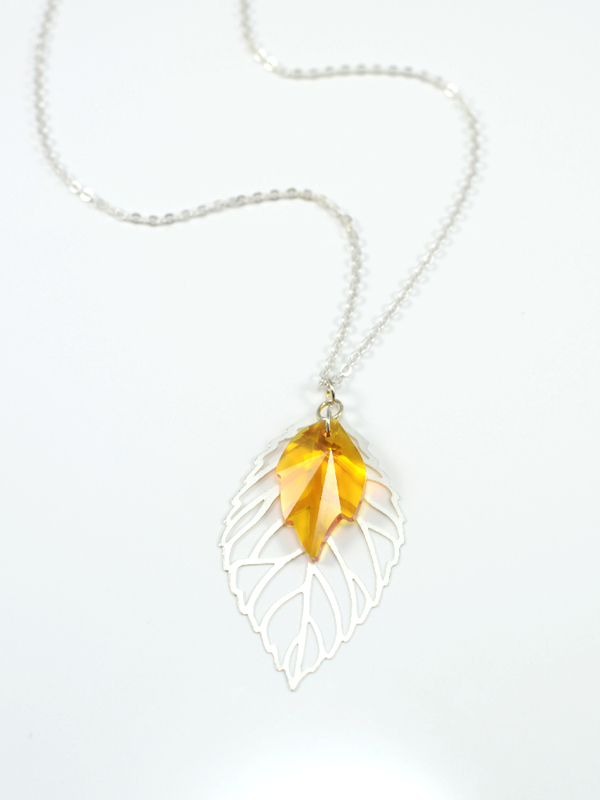 This 26 inch delicate matte silver flat oval chain features a modern matte silver filagree leaf paired with a sparkling Swarovski 26mm leaf crystal in topaz. 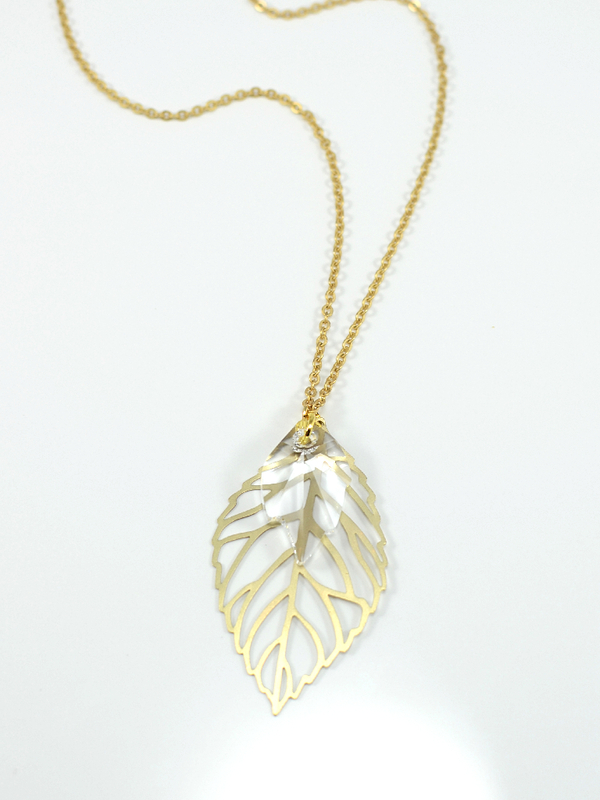 This 26 inch delicate matte gold flat oval chain features a modern matte gold filagree leaf paired with a sparkling Swarovski 26mm leaf crystal in crystal. 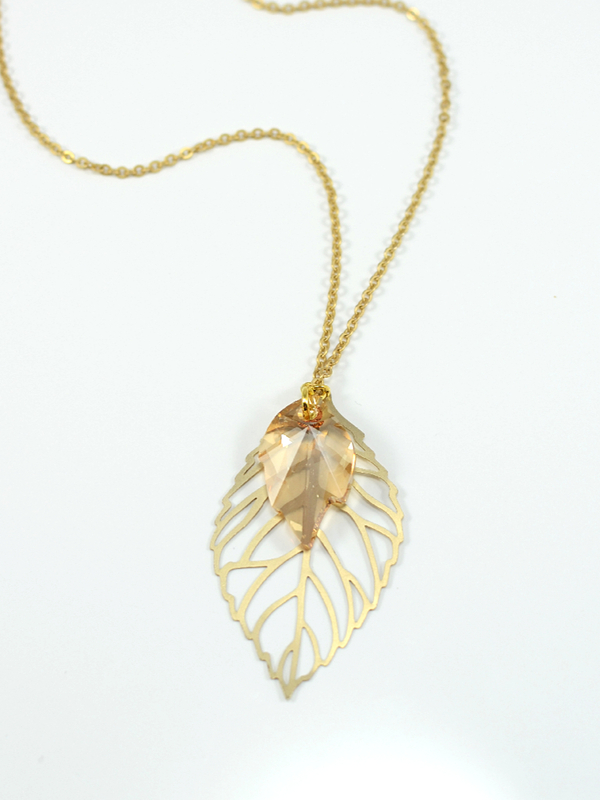 This 26 inch delicate matte gold flat oval chain features a modern matte gold filagree leaf paired with a sparkling Swarovski 26mm leaf crystal in Golden Shadow. 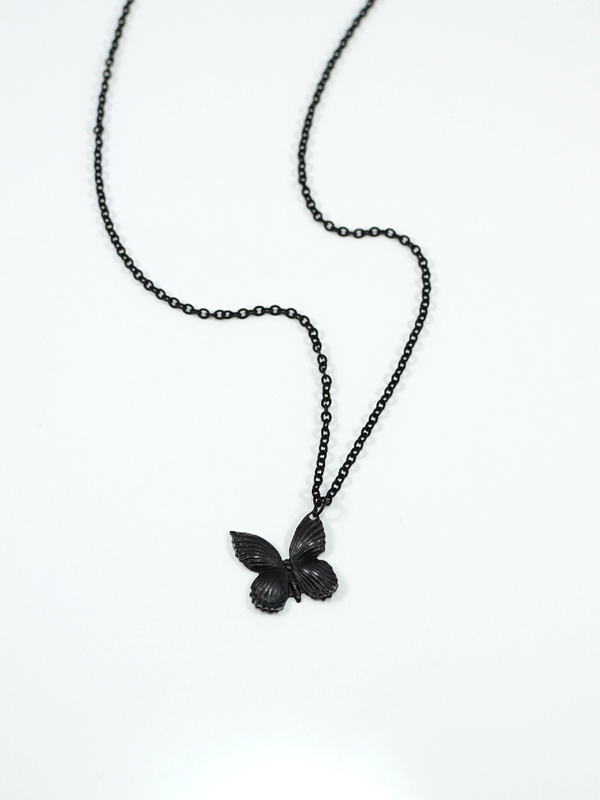 This 19 inch matte black small cable chain features a pretty 17mm butterfly charm in a striking black. 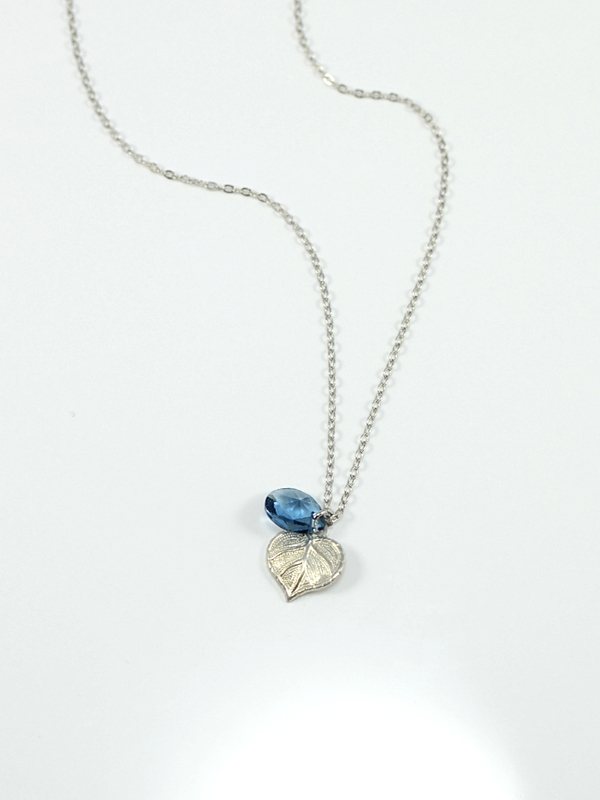 This sweet and petite antique silver ivy charm on a delicate 19 inch chain is paired with a Swarovski "raindrop" crystal in Denim Blue. 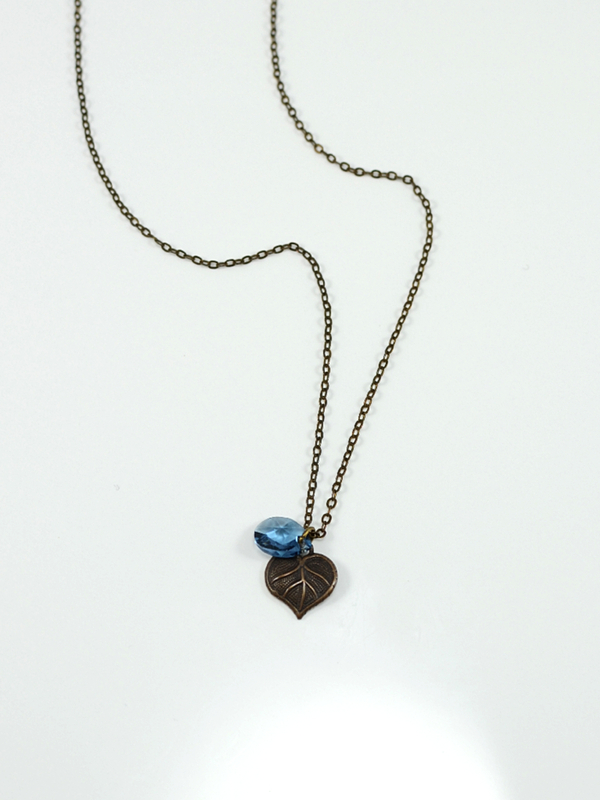 This sweet and petite antique bronze ivy charm on a delicate 19 inch chain is paired with a Swarovski "raindrop" crystal in Denim Blue.